The latest update we have had from Fife Council and from Stagecoach is that Stagecoach are not prepared to consider retaining the X54. They are however planning to run an early morning service to, and two evening services from, Dundee ( Monday to Friday). Unfortunately these services will take nearly an hour to travel the 15 miles up to Dundee and the timings are far from ideal. We cannot help but think that these buses are not going to be viable. We understand that Stagecoach will submit new timetables to the Traffic Commissioners either Friday the 1st or Monday, 4th July 2016. I have been in touch with the Traffic Commissioners to examine what powers they have to protect the service. They have none. 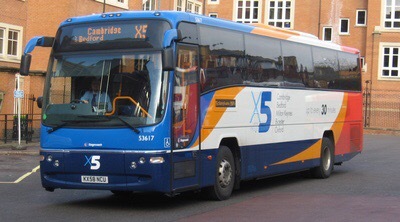 The X54 is purely a commercial service and they do not have any power to compel an operator to service a particular route. I have also been in touch with the passenger transport body Bus Users Scotland. We have explained our frustration at not being able to have been offered any dialogue with Stagecoach, the nonsense consultation and the speed at which this change has been railroaded through. They were astonished. I have asked them to press Stagecoach for a halt to the service withdrawal to give us a chance to explore options with them. They have taken on comments and will address them to Senior Executives in the company directly. Whilst they don’t have powers, they are an influential body. Thank you everybody for all your efforts to date, over 500 signatures on the petition, banners and posters at the junction, letters to politicians, numerous consultation responses. We’re doing what we can. We will of course keep you updated on this site. We have just become aware of a proposal to remove the X54 Bus service from the A92. Instead a new service will route from Melville Lodges roundabout via Cupar to Dundee. This will have significant effect for Letham residents and increase the 25 minute journey to Dundee to over an hour. Buses for villagers who regularly commute to Dundee or Glenrothes on the A92 will disappear. There is a lot of anger and concern re this proposal and we will fight this vigorously and passionately. Where full details are available to read. The Community Councillors will consider how best to respond to this threat to the village and a public meeting or extraordinary meeting of the Community Council is likely.